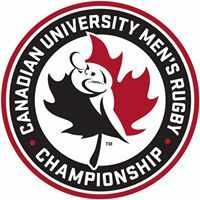 As expected UBC rolled through on Day 2 and straight to the final on Sunday. Will Percillier the scrum half won man of the match honours and is their top player right now. They used a dominant scrum to disrupt Guelph's continuity. The final versus Queen's will be an even matchup as they are the only other team at the tournament able to match UBC in the set piece. UBC took care of a feisty Concordia team on Day 1 and Guelph gets its first run out today. UBC won +33 yesterday, we had a conservative +20 prediction. This should be a tougher match for UBC and a chance to see if they've upped their intensity and accuracy leading into the final. Guelph will likely come out strong as it's their first match of the tournament. Expect a fairly even first half with UBC pulling away in the second half but UBC's bench looked suspect so expect to see the starters put in a longer shift today. Prediction: UBC by 15. A tense affair between two evenly matched sides. Queen's had the advantage in the scrum and that was the difference. A lot of handling errors from both teams did little to enhance the match from a spectator perspective. The result leads to a UBC v Queen's final on Sunday. This is probably the 2nd best match of the tournament outside of the final on Sunday. The winner will likely take on UBC on Sunday. Queen's have a dynamic backline that looked good against the UNB side but we'll see how they do when they get less time and space to implement their attack. This is UVic's first match, they have the talent. Their halfback combination of Crosby Stewart to Grady Bowd may be the best in the tournament. They have the backline to match up with Queen's, it will all be about accuracy on attack and defensive pressure without the ball. We'll see how the forwards match up on the day. This should be a good one. I think UVic at home with the talent they have should prevail. Prediction: UVic by 5.